Bone cancer in dogs, also known as osteosarcoma, is a condition that results in an abnormal, malignant growth of immature bone cells. It is an extremely deadly and aggressive form of cancer that can easily metastasize, meaning it can spread to other parts of the body, and especially the lungs. Usually bone cancer in dogs starts as uncontrolled growth in the bones of the legs, though it can develop elsewhere. This can cause limping and pain, and if the disease spreads, it can cause health issues like respiratory distress and other problems with bodily functions. Bone cancer is often fatal in dogs, though surgical removal of affected bone is sometimes possible and can save dogs’ lives. If you see the signs of bone cancer in your dog, consult your veterinarian right away so they can give a proper diagnosis and recommend treatment options. Here is what you should know about bone cancer in dogs. 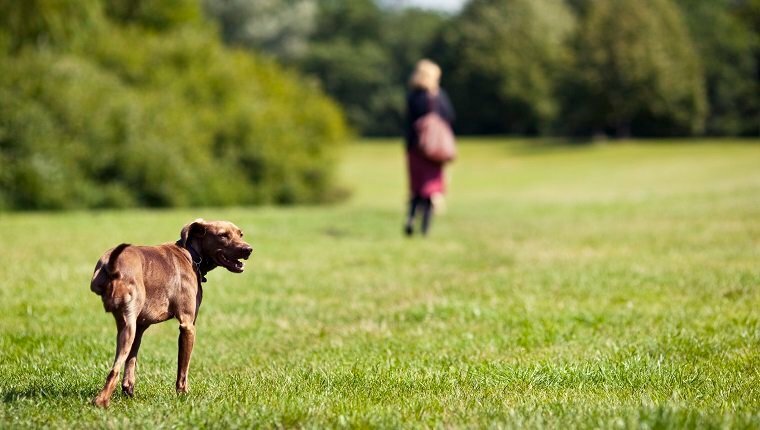 Symptoms of bone cancer in dogs can appear subtly, especially in the early stages of the disease. Usually, osteosarcoma develops in the long bones of the front legs, though the rear legs, jaw, face bones, ribs, and vertebrae can all be affected, as well. Symptoms may vary depending on which bones are affected. 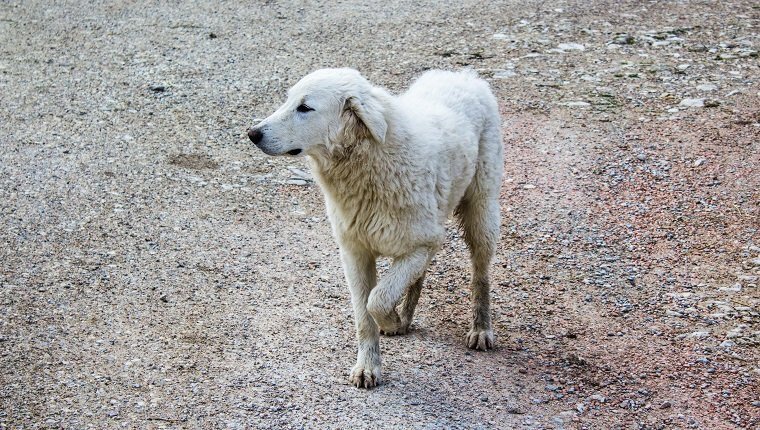 If you see the following signs of bone cancer, have your dog checked out by a veterinarian as soon as possible. The causes of bone cancer in dogs are not understood, though there are some risk factors that correlate to the development of the disease. Males tend to have bone cancer more often, as do dogs who are spayed or neutered before turning one year old in age. Large dog breeds tend to develop bone cancer more often, and there is some evidence to suggest that dogs who have suffered broken bones, had orthopedic implants surgically placed, or suffer from other bone disorders may be more at risk for bone cancer. 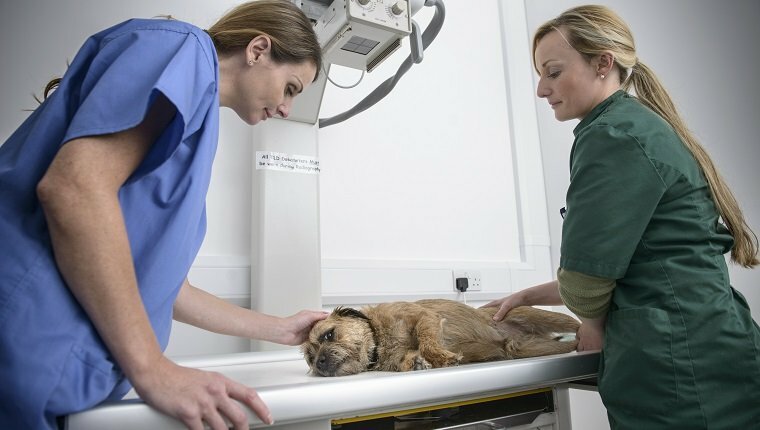 Treatment for bone cancer in dogs can vary depending on which bones are affected. If the cancer develops in the legs, as it does in most cases, the usual course of treatment is amputation. Fortunately, most dogs can still live a normal life after this and are mostly unaffected by having only three legs. 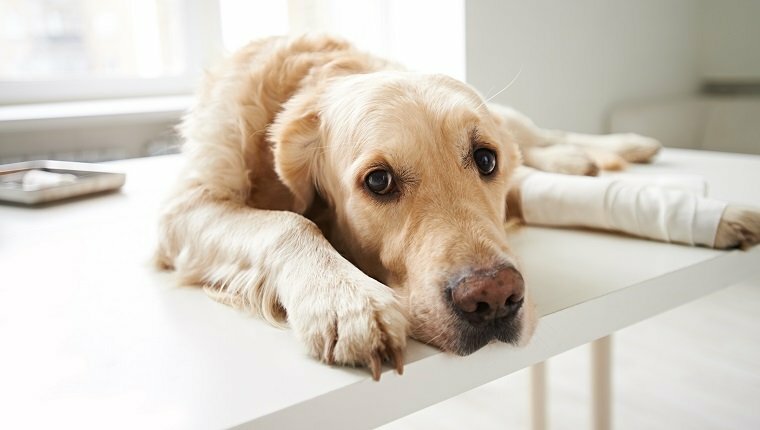 There are new veterinary techniques that involve removing only the cancerous parts of the leg while sparing the rest of it, though there are some complications you should ask about. Veterinarians often use chemotherapy and radiation therapy in addition to surgery, but only if they can remove the primary tumor. Because bone cancer is so aggressive and easily metastasizes, it almost always spreads elsewhere, and usually to the lungs. If that is the case, additional treatment will be required. Corticosteroids, NSAIDs, and anti-inflammatory drugs can provide some relief from pain and improve comfort. This is also an option for dogs who are not eligible for surgery. The prognosis for bone cancer in dogs depends on several factors. If it is treated before it spreads, the chances of survival are better than if the cancer moves to the lungs or another part of the body. Left untreated, the condition is almost certainly fatal. If your dog has bone cancer, your vet can provide you with a more individualized prognosis and treatment plan. New procedures are always in development that may be less invasive and improve with time and research. You should ask your veterinarian about these if they diagnose your dog with bone cancer. Some dogs cannot have the affected bone removed if it is near a vital organ or artery. For them, surgery is not an option, and the prognosis is not very good. Many dogs who successfully go through treatment live for another year, and some live for another five to six years. However, bone cancer is often fatal, even with surgery and therapy, and many owners decide not to pursue treatment. Bone cancer is a painful condition, and many owners choose euthanasia rather than letting their beloved dogs continue to suffer. If your dog has bone cancer, it will be up to you and your veterinarian to determine what is the most appropriate course of action. New procedures and therapies are always on the horizon, so by the time you read this, there may already be better alternatives than those described here. Discuss these with your vet.